Five15Arts, founded in 2002 is an artist-run collective and contemporary art space. Our current home is Chartreuse Gallery, 1301 NW Grand Ave, Phoenix. We are committed to providing support and an exhibition venue for serious, professionally-minded artists located in the metropolitan Phoenix area. 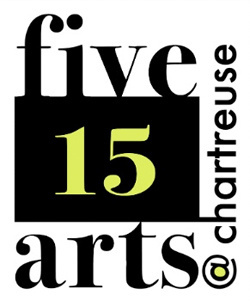 Five15Arts @ Chartreuse is a well-respected venue showing creative and original art. We currently are a nine-artist collective contracted to a 13-month commitment. Each artist will have the gallery for a solo show for one month each season and enjoy participation in two group shows (March for Art Detour and Power of Five15 to the Fifth in July-August ). Regular hours are First and Third Fridays from 6-10 pm and every Friday and Saturday from 5-8pm. Hours may change as retail traffic on Grand Ave changes. We are looking for artists who work in any medium. Member artists are required to pay monthly dues, attend meetings once per month, and manage the gallery during the member’s solo, one month-long exhibition each Five15Arts gallery season, including operating the space during regular gallery hours. Members must contribute to the collective through marketing, social media, installation, sitting gallery hours, website management, serving as officers or helping with general gallery maintenance and improvements. Potential applicants need to have a strong interest in becoming contributing members to our arts collective beyond holding a solo exhibition. Benefits of membership include one month-long exhibition, two group shows, association with a professional art space and growing downtown Phoenix arts district during First and Third Friday Artlink’s Art Detour and especially the growing Grand Avenue Arts District, listing on the Five15Arts website, social media pages and access to mailing and media contacts. Email applications to five15arts@gmail.com with the subject: New Five15Arts Member. Images must be jpegs and other documents are in PDF or Word format. 1. A one-page letter indicating your interest in Five15 and what you can contribute. Include on this letter three references with name, phone number and email address of at least two professionals (employer, teacher, mentor) and one personal reference. 3. A separate image list, labeled with the artist's name and contact information corresponding to your submitted images. The list should include the image number, title, medium, size and date created. 4. An artist statement no longer than one page. For more information email us at five15arts@gmail.com. All applicants will be contacted no later than January 31, 2018. Those selected for membership will be invited to participate in the group show during Art Detour in March.